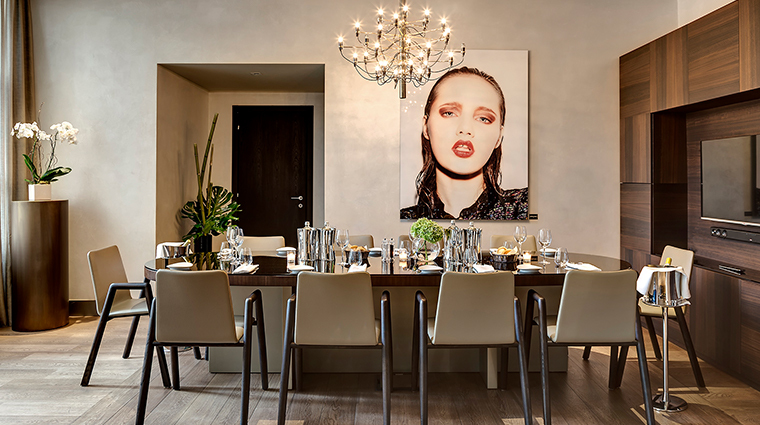 Strategically located within walking distance of the famous Quadrilatero della Moda (fashion district) and the modern Porta Nuova quarter, ME Milan Il Duca is the new destination for those looking for a fashionable getaway in Italy’s style capital. 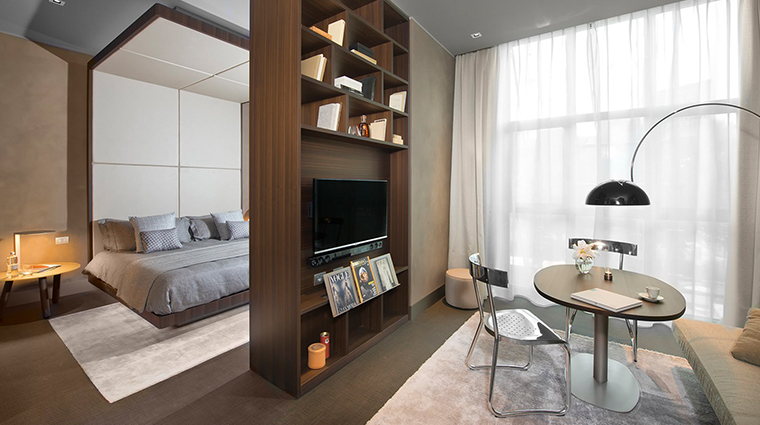 Upon entry, fashionistas will be delighted with the sight of beautiful Italian furnishings and interiors, while superior quality linens are pleasing to the touch. Your taste buds will savor the property's top-notch dining and drinks while a contemporary soundtrack playing in the common areas and pleasant, exclusive scents complete the scene — this luxury lifestyle hotel is a pleasure for all five senses. 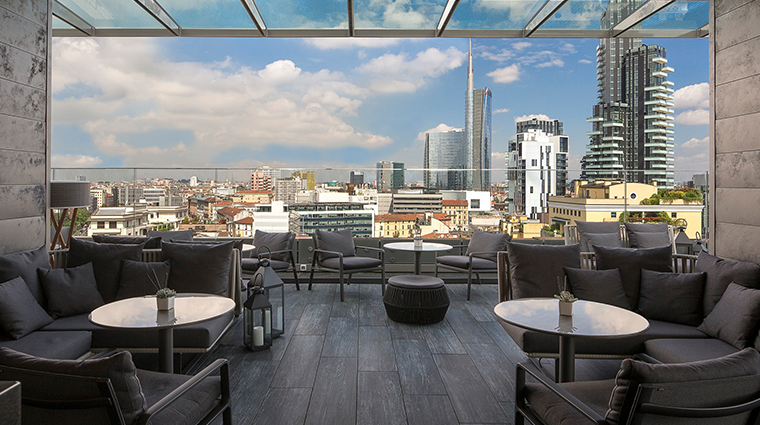 The ME’s Radio rooftop bar is the place to sit back and take in the view while sipping an aperitivo, perhaps before dinner at the renowned STK Milan restaurant onsite. 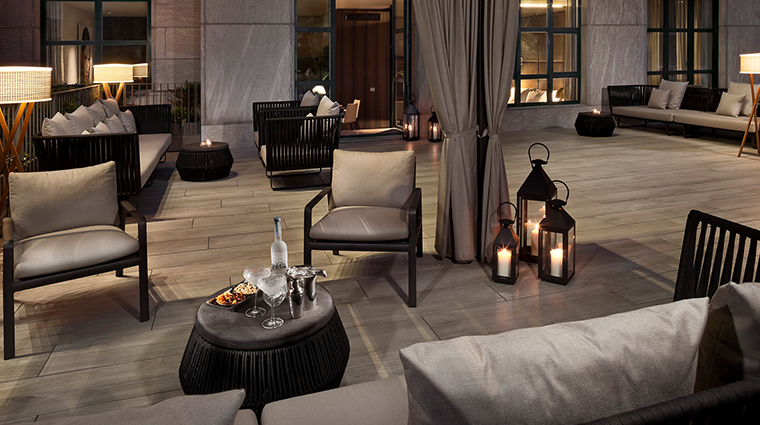 Whether you’re staying for business or pleasure, the ME Milan is the place to be. This location couldn’t be better. 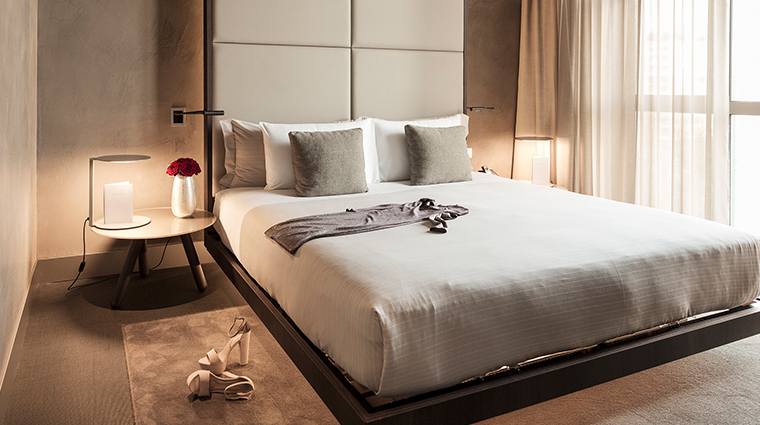 The ME is within walking distance of Milan’s most famous fashion boutiques and the new Porta Nuova district for architecture and design lovers. The boutique hotel atmosphere adds an air of elegance with designer interiors and attention to detail from scents to background music. Originally envisioned by heralded architect Aldo Rossi, the hotel’s new look is an homage to contemporary Italian architecture and design. 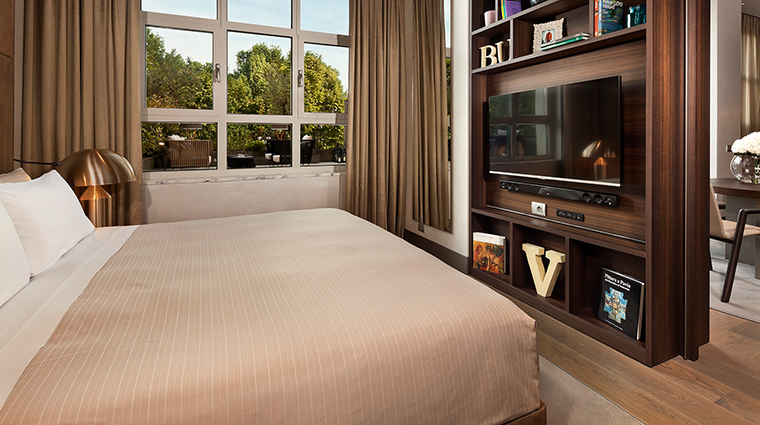 The first-rate concierge service will go the extra mile to make your stay memorable. The aura manager will take care of every detail, from personalizing your amenities to organizing your visit or even unpacking your luggage. The focus here is on Italian style. From the well-appointed design to the mini-bar products, you will enjoy the best Italy has to offer at this upscale property. Fashion week is particularly lively at the Milan hotel. You might bump into models and fashion industry executives hanging out at the bar or restaurant. 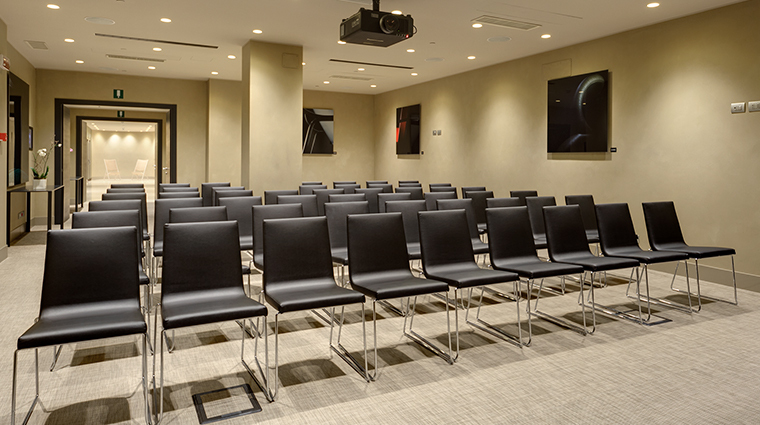 On a regular weekday, the clientele is corporate while tourists enjoy the ME for stylish weekend breaks. 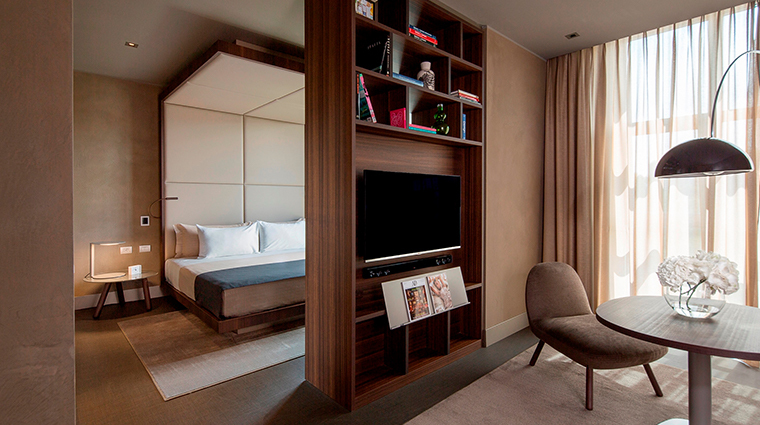 The most in-demand rooms might just be the Chic Suites facing Piazza della Repubblica. 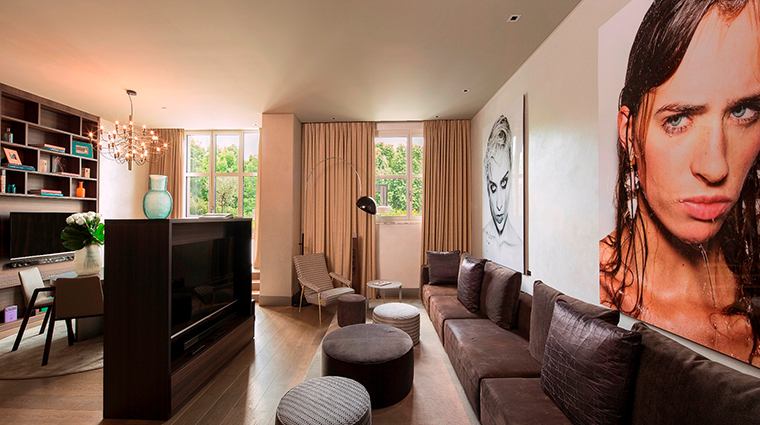 These spacious accommodations boast floor-to-ceiling windows and the building’s luxurious original marble bathrooms. 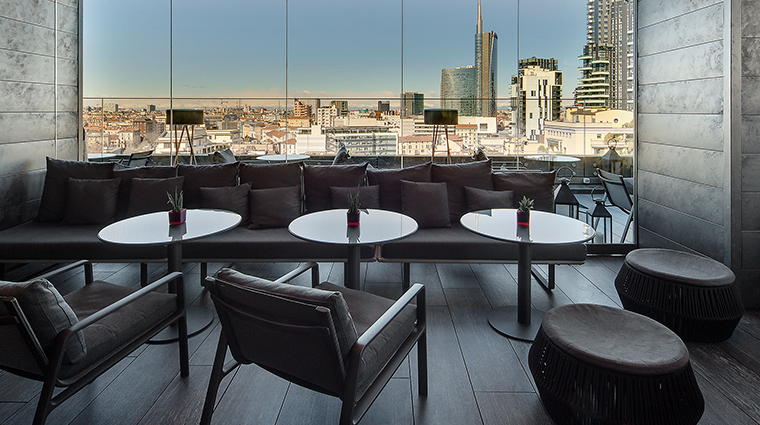 The best views are enjoyed at sunset on Radio’s rooftop terrace, overlooking the new Porta Nuova skyscrapers. The vistas are so mesmerizing that you might even forget you’re in Milan. 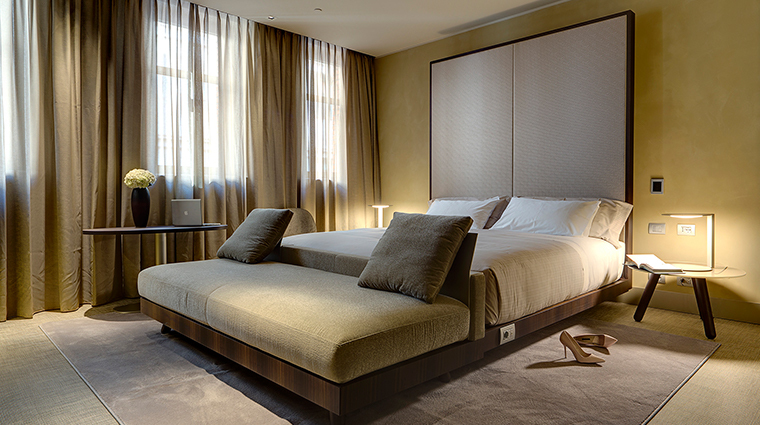 ME Milan Il Duca holds 132 rooms divided into different categories: Aura, Mode, Chic Suites, a Personality Suite and one ME Suite. 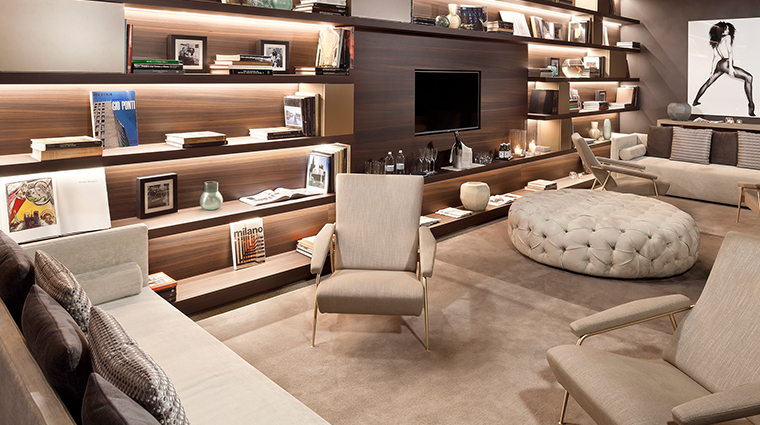 All are refined and elegantly decorated with Molteni&C furnishings in soft tones. 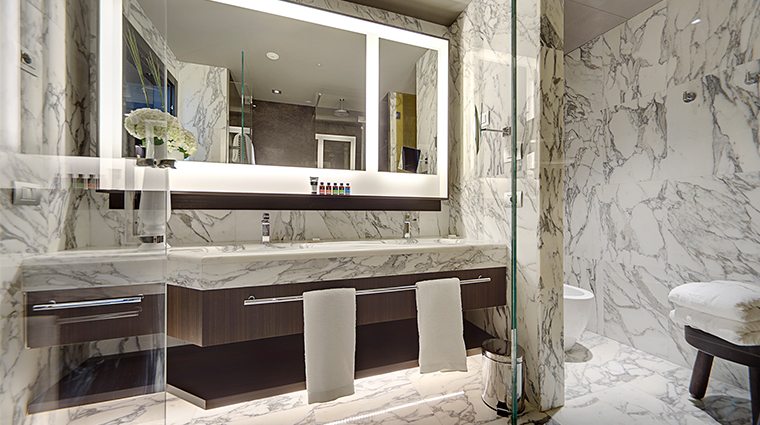 Luxurious touches include a pillow menu, Oluce lamps, soundbars, cotton bathrobes, rainfall showers and a special welcome message in the bathroom mirror. These aren't your typical amenities: top-quality organic Aptiva toiletries, tasty Italian snacks, a cocktail maker in the minibar and an Illy coffee machine ensure a pampering stay. 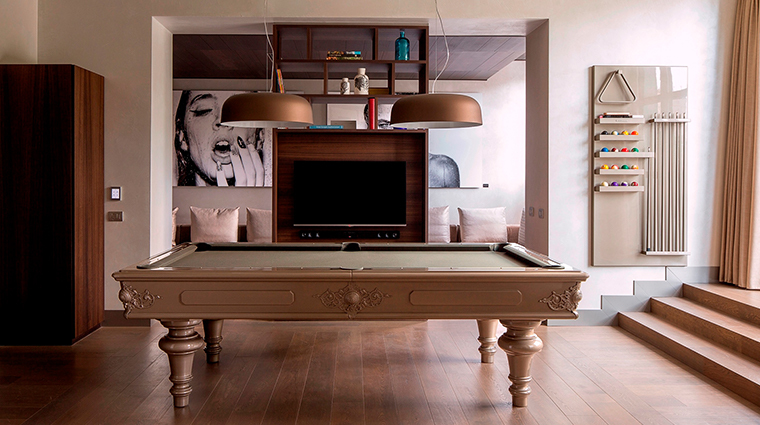 The exclusive Personality Suite has everything you could ask for: a private lounge, a PlayStation, a state-of-the-art sound system, a dining room, works from Madrid photographer Alberto Van Stokkum and a nearly 1,300-square-foot patio overlooking Piazza della Repubblica. Radio Rooftop Milan is the place to hang out, even for locals. Sip a delicious spritz or pick a glass from the carefully selected wine list while enjoying one of the city’s best views. The food menu at Radio includes local classics like Milanese risotto with red shrimp tartare, maccheroncini arrabbiata pasta, veal Milanese and treats like tuna tataki, pulled pork buns and wagyu sliders. 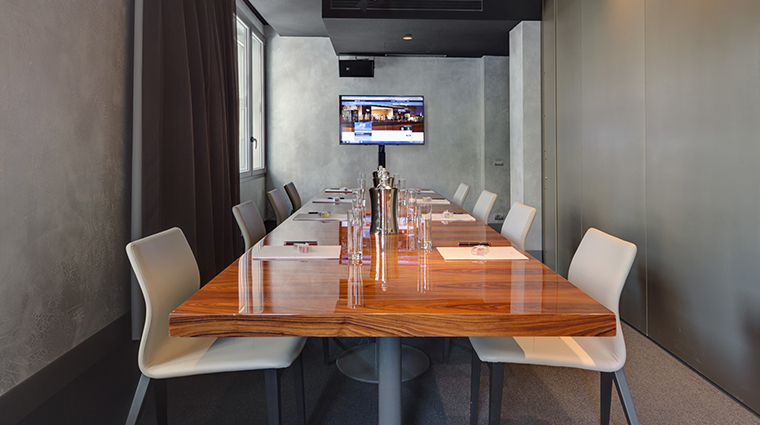 One of the few STK locations in Europe, the Milan edition guarantees quality steaks and polished, friendly service. Don’t leave without trying the tomahawk with a side of truffle and Parmesan fries. 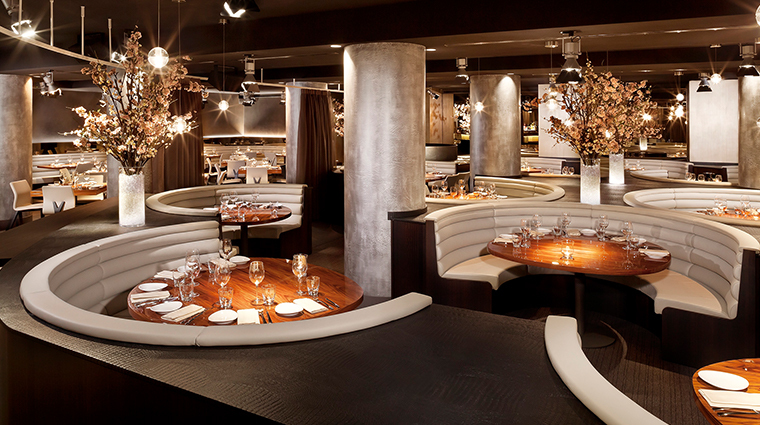 The modern steakhouse also offers an elegant lounge with classic cocktails and an in-house DJ. 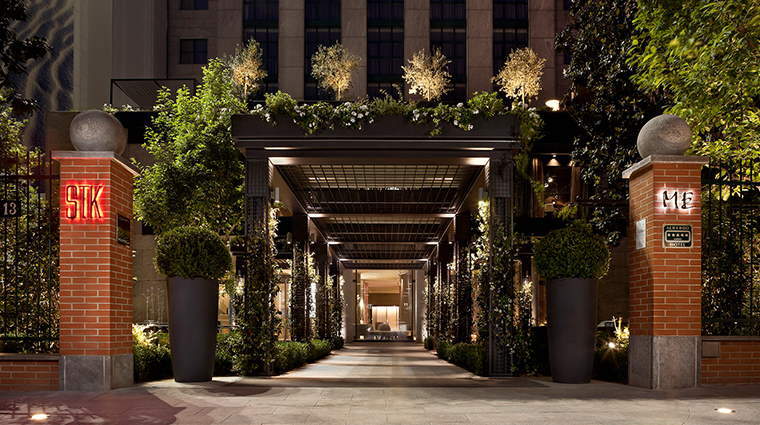 This is where Milan's stylish set comes to dine.